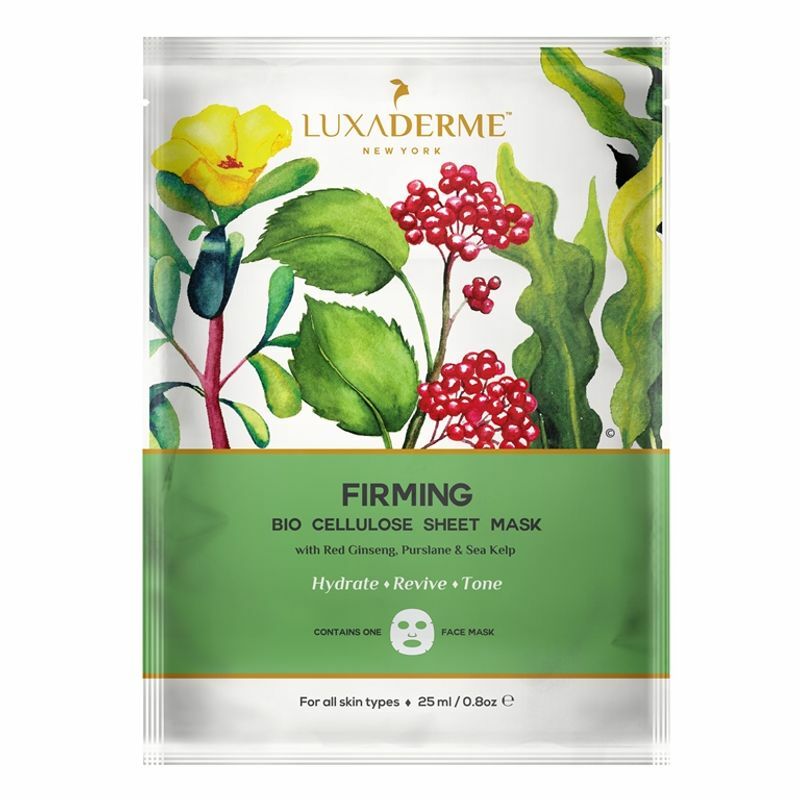 LuxaDerme Firming (Bio Cellulose) Sheet Mask is suited for those who are looking to restore skin's moisture and firmness and for those who are seeking to reduce the appearance of fine lines and wrinkles. These disposable masks are pre-cut to fit your face and pre-dosed to effectively deliver custom blend of potent firming ingredients along with rich botanical extracts. Its 3 dimensional nano-fiber structure clings to your face perfectly like a second skin thereby imparting all its vital nutrients and essence, transforming it to a well hydrated, glowing and smoother skin. It is easy to use, effective, non messy and non sticky. It is free from any chemical and synthetic ingredient that may prove harmful to your skin. Comes in a durable foil packet and are travel friendly. This mask is non-comedogenic, pH balanced to ~6.0 and suitable for all skin types. Sea Kelp: It is loaded with skin-nourishing nutrients, such as Omega-3 essential fatty acids and polyphenols that helps keep your skin nourished and moisturized. Peptide: These are long chain amino acids and are some of the most potent anti-aging agents in skin care products because of their ability to stimulate the production of collagen. Purslane: It has skin-soothing properties and serves as an antioxidant. Ceramide: This is skin repairing agent that makes the skin firm by holding its cells tight together, giving it a smooth structure and suppleness.